The romance of the FA Cup comes to Stamford Bridge this weekend as League Two side Scunthorpe visit the Premiership leaders. Whilst not underestimating the visitors, Blues manager Jose Mourinho will use the game to offer some much needed rest to some of his first team stars. Frank Lampard’s run of 130 consecutive Premiership starts will not be ended just yet as the midfielder serves his one game ban for the accumulation of five yellow cards this weekend. 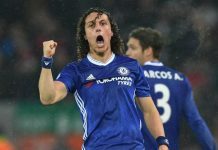 John Terry is another player in line for a rest having contributed widely to Chelsea’s four wins over Christmas and the New Year. With the League Cup semi-final approaching next week, Mourinho will see the next seven days as a period of recuperation for his key players. The same cannot be said for Scunthorpe manager Brian Laws whose side will be trying to overcome a team 68 places above them in the league rankings. The Irons will not come to London to lie down and the ‘big day out’ mentality will doubtless inspire the side to a performance to remember. The club is currently best known as the former employers of both Ian Botham (as a footballer) and Ray Clemence, though any form of result this weekend would change all that. Such dreams will inspire the visitors as the kick off this Saturday. The game will see Scunthorpe top scorer Paul Hayes attempt to score his fourteenth goal of the season against a Chelsea defence that has not conceded since Graham Poll and Thierry Henry combined so well at Highbury. Meanwhile Peter Beagrie, formerly of Everton and Bradford, returns to a Premiership ground for probably the last time in his career. The left-winger is the stalwart of the Scunthorpe side and if any visiting player is likely to make the score sheet, then Beagrie is that man. Few expect anything but a comfortable home win from this game. Rarely has the FA Cup seen such a gulf in class- not to mention finances- and this ought to pan out over 90 minutes. 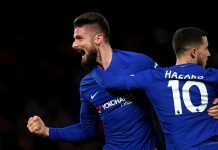 A rotated Chelsea side should easily brush aside the plucky visitors.